Successfully Added LED Message Sign - Roadway Fun to your Shopping Cart. 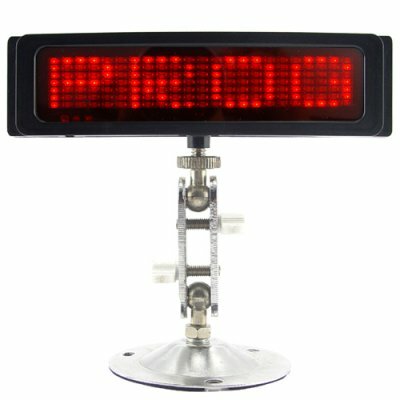 LED scrolling message sign for installing in vehicles. This LED sign can display any message typed in by the user. Your words of wisdom and wit will be displayed in bright red LED's for the world to see. This is a great car accessory for business or fun. The sign can be programmed with up to five different messages, allowing you to change your message on the fly with the supplied remote. This great re-sale LED sign is in stock now and available to drop ship to your customers door. In-car mount LED scrolling message sign. Display business or fun messages directly from your vehicle. Is the LED sign available in different sizes? Unfortunately, this is the only size we currently sell for this type of product. nice one it veryportable and handy also which i have it as an headband too. I buy again, this is shure!